On the back of a below par 2018 season, Mumbai Indians seem to have all their bases covered for the impending IPL 2019. The masterstroke however did not come during the auction, but from within the existing players and team management. Reinventing the metaphorical wheel only has downsides, and MI have apparently recognized this and gone back to the tried and tested formula of giving the opening slot to the Hitman - Rohit Sharma. Being an opener has numerous challenges, but an equal amount of opportunities as well. There is no better example of that than Rohit himself, with his 3 double centuries in ODI cricket glorifying his hitting abilities that are supremely effective irrespective of the opponent. Every sport is in need of equal proportion of physical and mental abilities, and cricket is no exception. 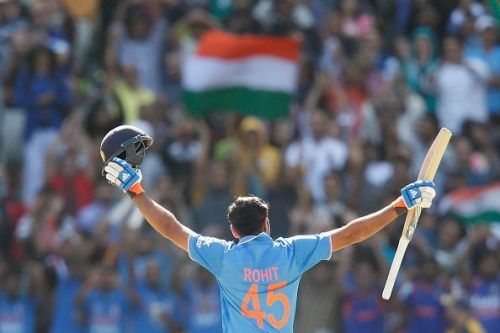 And Rohit can bring all of his experience to bear at the top of the order, to combine with his already legendary timing. Moreover, occupying the opening slot for Mumbai Indians this season will surely assist Rohit's bid to have a successful World Cup 2019 as well. The decision to promote Rohit is also appropriate seeing how their squad is stacked up for the season. The batting firepower constitutes a promising mix of youth and experience, in the shape of Ishan Kishan, Suryakumar Yadav and Aditya Tare. In addition, the much acclaimed Anmolpreet Singh bringing in the exuberance of youth. Meanwhile, there are proven match winning qualities in Rohit Sharma, Quinton de Kock, Evin Lewis, Kieron Pollard, Yuvraj Singh and the Pandya brothers. Yuvi aims to dazzle in 2019! The primary reason for MI's debacle last season was their consistent batting failures, especially by the middle order. In an effort to rectify this, they bought Yuvraj Singh at his base price of INR 1 Crore. 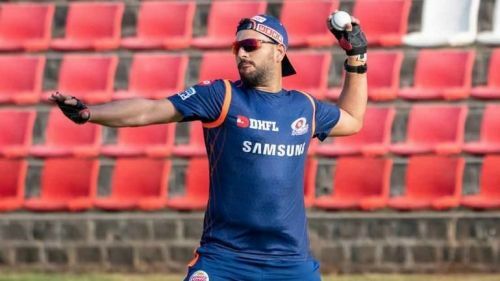 While Yuvraj has been working extremely hard on his fitness and match practice by playing in the domestic circuit, the IPL is bound to test him to the brink. But knowing the warrior he has always been, something tells me he will shine bright this season - or at least that's what his fans will be hoping for. With MI facing CSK, RCB and a revamped Delhi in their first 4 fixtures, they will have to hit the ground running rather than play catch-up as they are accustomed to doing in almost each of the past seasons. And they have the team to do exactly that.